We offer a full range of piling solutions and services that produce desired results in highly challenging environments. Our understanding of site and soil conditions is unparalleled in the industry, resulting in performance-based foundations that can withstand the rigors of any construction project. 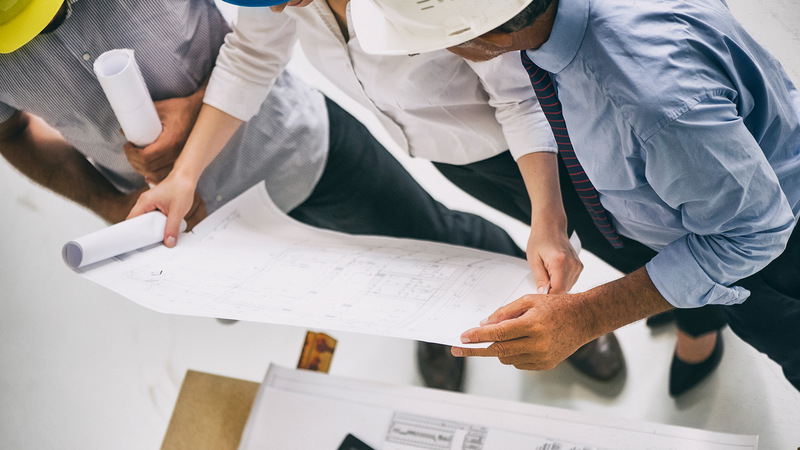 We work collaboratively with customers to devise the optimum solution for each individual project, combining the experience and expertise of our engineers with our customers’ vision for the finished product. We begin every project with a mindset of constructability, never shying away from the opportunity to push boundaries on what’s possible. 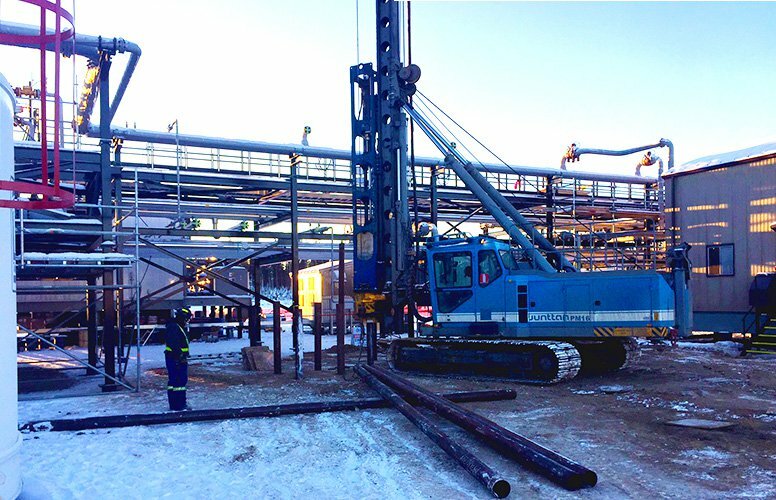 Through precision excellence and systematic project execution, HPS provides customers with the assurance that their foundations will meet their requirements and are engineered to last. Helical piles get their name from the helix shape of the pile itself. Often referred to as screw piles, this type of piling can be used for a variety of applications including transmission and distribution lines, oil and gas facilities, substations and petrochemical facilities. Characterized by strength, micro piles are deep foundation anchors that bore into bedrock and are grouted in place. 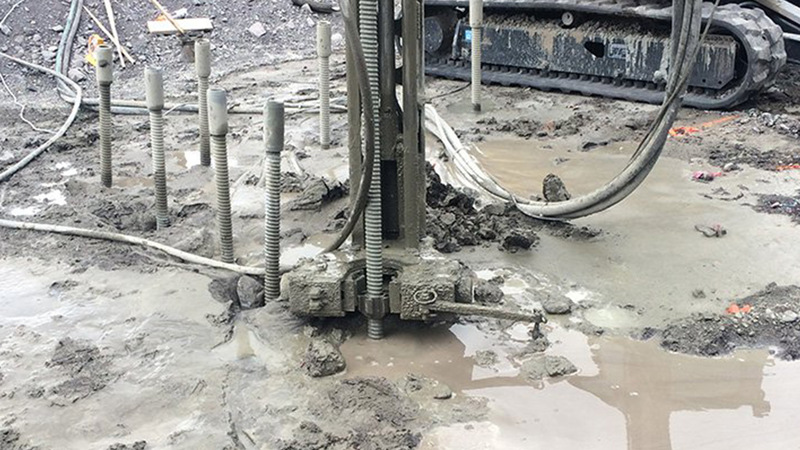 With their small diameter casing and threaded bar, they are often used in bedrock formations in conditions that prohibit the use of other piling options – typically related to spatial issues or challenging terrain. Micro piles can be used for most structures, including tower support and slope stabilization. These traditional foundation supports are designed to resist compressive, uplift and lateral loads. Installed using impact vibration hammers, Driven Piling provides structural support and earth retention. Common materials include timber, pre-cast concrete, steel H-piles, as well as steel sheets and pipe. As a value-added service, we provide our own trained and qualified surveyors to gather baseline data on every job. 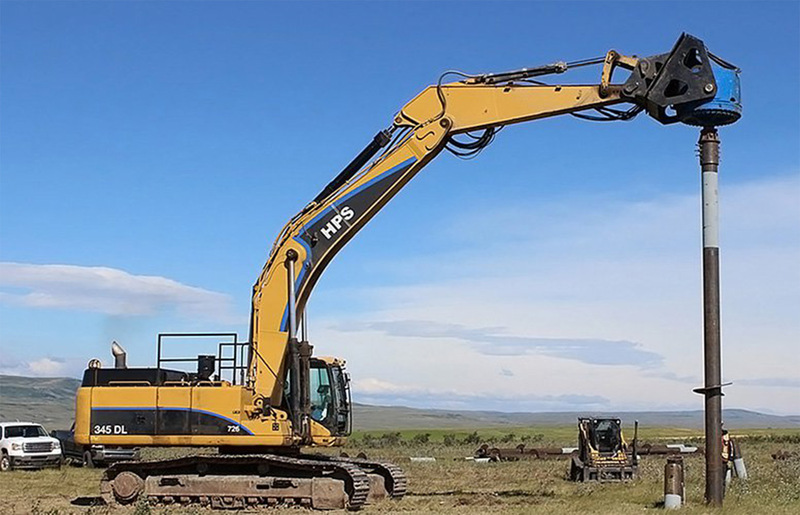 When exceptionally hard ground is an issue, we deploy pre-drilling equipment to handle the issue and keep the job moving forward on time and on budget. Our experience ensures that we will deploy the right equipment and the right people at the just the right time to run each job in the most efficient and cost effective way. Quality control is overseen by our highly experienced engineering team, who meticulously analyze every step of each job from start to finish, ensuring overall integrity. We employ a team of certified welders who are ready to add additional structural capacity and complete designs as needed. Manufacturing our own steel allows us to control scheduling and ramp up production schedules. We own manufacturing facilities in both Canada and the USA, so capacity is abundant. We employ the services of third party professionals to confirm the viability of our solutions.